The Smog which initially started in Lahore causing some serious health problems specially eyes and breathing is gradually taking its effect to other parts of Punjab, Pakistan. Initially, the reason of Smog was not known but with Nasa’s pictures, it is clear what is causing it. 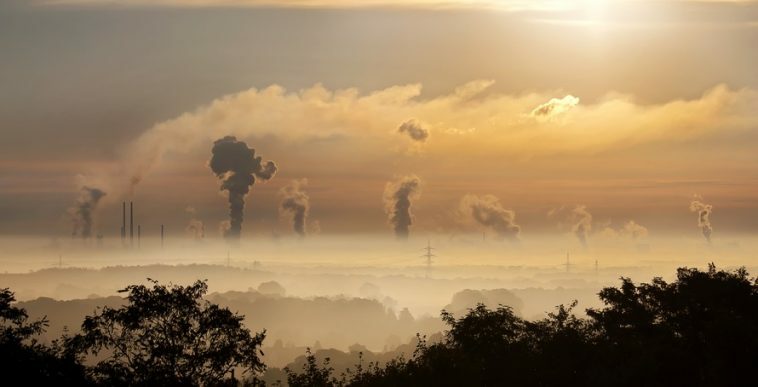 The cause for this smog is the big scale crop burning in the Indian Punjab. 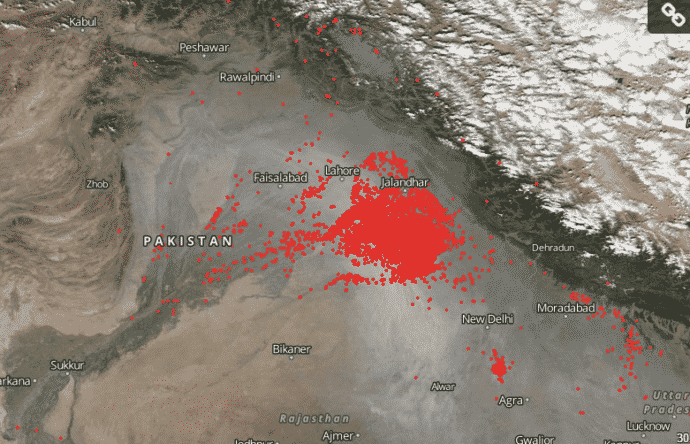 The Nasa’s recently released satellite image (marked red) shows the crop burning areas and that started from Jalandhar, India. According to New York Times, the farmers in the red marked areas (as shown in picture) burned the 32 million tonnes straw rather then disposing it off in a proper manner. Experts reveal that all these burning crops are resulting in Smog in Lahore and now in other parts of the Pakistan causing eyes burning and breathing problems.